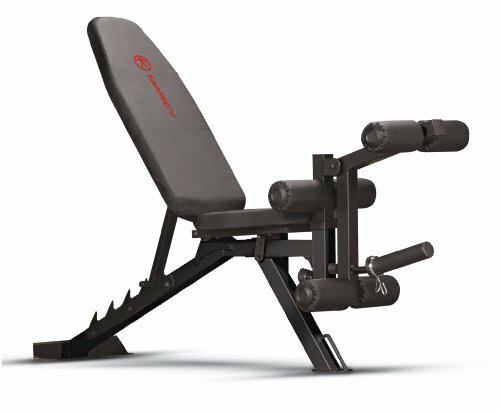 Best Leg Machines for developing strength and size. Are workout devices that can be used to increase strength in a variety of leg muscles. With so many products to choose from, finding one that suits your needs can be a very difficult process. It is necessary to look into the categories and functions that exist among these devices. In order to make a calculated decision. Today we will be examining a variety of Best leg machines and their respective features. Free Weight vs. Machines: What Works? This exercise machine from Powerline. It is one of many prospective options for those in the pursuit of great legs. It contains a tough alloy steel frame. Which allows for a hefty weight capacity of 400 pounds. Its convenient size and flexibility also provide reasons to consider this product for your leg day workout. The option of three different starting and stopping positions contribute to the machine’s versatile function. Powerline also accounts for safety precautions. Implementing no-slip technology on the sled, a heavily cushioned back pad, and a contoured neck pad. The Powerline does, however, have its negative aspects. Its reduced size and relative inexpensiveness give the machine perks. These qualities also cause it to fall behind competing models in weight support and overall power. 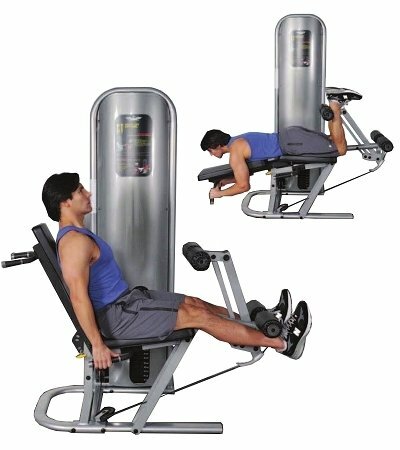 It provides less low back support than the majority of leg press machine, and it is not cut out for intensive use on a regular basis. The XMARK exercise machine falls under the category of commercial-grade models. In comparison to the Powerline. Its increased size permits for heavy-duty exercise and an impressive weight capacity of 1000 pounds. In addition, a built-in system removes the need for a spotter. Having adjustable handles that let you place the rack accordingly when you decide it is time for a break. Contrary to many leg-press machines. tTe XMARK supports calf raises and hack squats. The rests on the back, shoulders, and neck are each comfortably padded for a more leisurely experience. Slightly besting the previous model. This leg press machine comes with four optional positions for starting and stopping. In addition, the heavy-duty structural makeup of the XMARK leg press machine gives it a very competitive weight capacity. 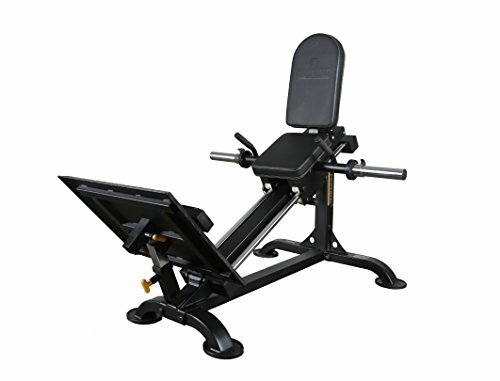 Due to its structure, this leg press machine happens to be very difficult to put together. The device is also prone to start creaking when its weight capacity is being approached. But from an overall standpoint, the XMARK Leg Press Hack Squat is a reliable leg press machine capable of withstanding high quantities of power. This leg press machine BodyCraft is a leg workout device. Which could be a beneficial addition to your home gym. As indicated by the title of the product, it includes a sled surface for assistance during leg presses. 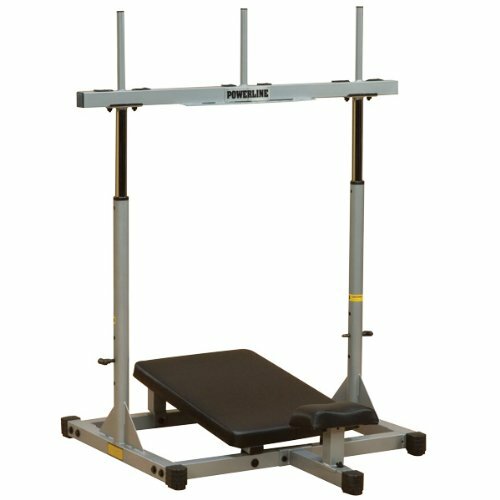 It allows the user to carry out heavy leg presses or hack squats without having to waste large amounts of floor space. This product includes a small footprint as well as a weight capacity of about 1000 pounds. This workout device serves to reduce discomfort and enhance your workout. The shoulder pads used during hack squats are adjustable Allowing for users of all heights to take part in the product’s function. The footplate, as well, is fully adjustable and can be folded out of your personal space while you are doing hack squats. Lastly, this BodyCraft leg press device comes with a modifiable headrest for maximum comfort while you work to achieve those great legs. 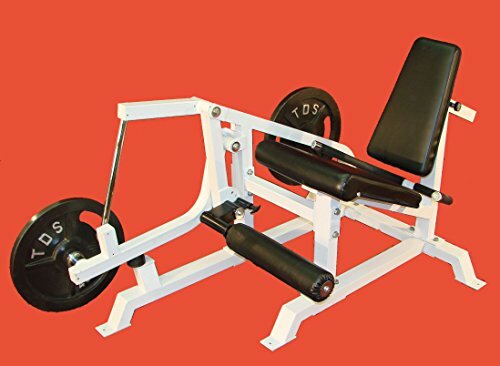 Similar to the XMARK leg press machine. This product from BodyCraft comes with a complex assembly process. 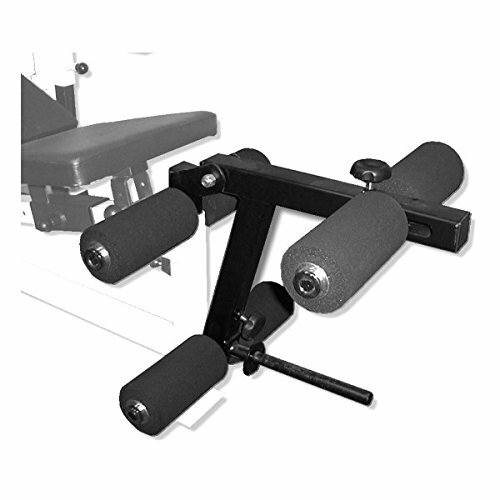 In the market of leg machines, many view this product as a relatively large investment meant for consistent and heavy use. It is a somewhat bulky machine, but it takes up an impressively low amount of floor space for its function and can perform under heavy usage. Powertec offers a product that functions a bit differently from its market companions. In contrast to the typical process of literally moving the sled upward, you should direct your force toward to the floor to propel this seat upward. This leg press device can withstand a total weight capacity of 700 pounds, falling somewhere in between compact models and heavy commercial devices. 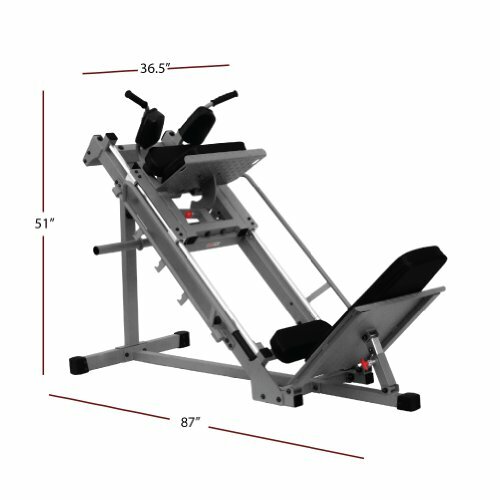 With this leg press machine, you have the ability to perform workouts in a position that very closely resembles a traditional squat. While Powertec’s device may have a low weight capacity, its structural design saves space and is very compact. The easy entry feature makes the logistics of using the Powertec more convenient than before. In addition, it includes an adjustable backrest as well as an inclusive foot plate for the use of foot raises. As leg devices can be expansive and complex in makeup, assembling such constructs has burdensome potential. Many users have encountered obstacles putting this product together and believe the instructions should be more straightforward. A second complaint is that the device’s weight capacity is not high enough at 700 pounds. But overall, Powertec’s device is a compact and useful tool that can be used to achieve nice legs. This leg curl machine is most suitable for those in need of a seated device. 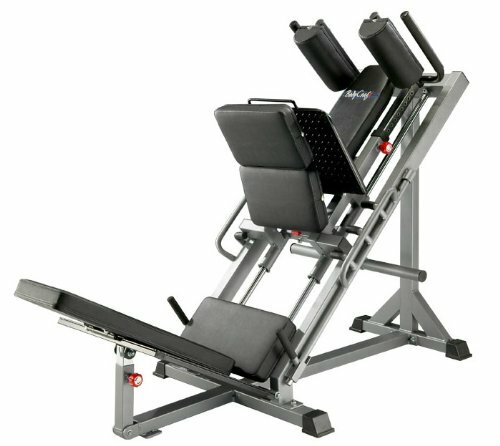 It offers users six adjustable positions on the back pad that can be altered based on preferences on the best leg workout. The device achieves comfort during a hamstring workout through the use of foam roller padding. To enhance the convenience factor, it also includes wheels and a transport handle for increased portability. This product’s structure contains similarities to the Powerline leg press machine. It is very compact for what it does and maintains a weight capacity of about 300 pounds, wavering slightly below that of the Powerline device. It is strikingly easy to put together in comparison to leg devices of heavier duty. The dominating complaint about Marcy’s curl machine is its tendency to be unsteady. Due to its particularly low weight capacity, the product can begin to wobble at a certain point. It can only tolerate so much pressure during a quad workout before its function begins to slip. It loses stability and be This device is great for beginners who do not want to dedicate an extremely large amount of time or resources to obtaining great legs. This machine produced by Body-Solid can be used either as a leg extension or curl machine. The more notable qualities of this device include its quality of function and its ability to hold up over a long period of time. Users have stated that operating it resembles the experience of going to an actual gym. This Best Leg Machines device is made with a seven-gauge steel cam. The most versatile we have yet discussed. It is fully adjustable, allowing for comfortable options for people of all sizes. Several thick Dura-firm pads are implemented for increased levels of safety and durability. The Body-Solid Series Leg Extension & Curl Machine faces the familiar issue of a challenging assembly process. This arising due to a lack of instructions. Some dislike the fact that the bottom leg device is not adjustable. In addition, the device’s weight rail is not capable of holding a very impressive number of plates. From an overall standpoint. This dual-purpose device allows users to carry out leg curls in an effective manner through the use of a sturdy machine. 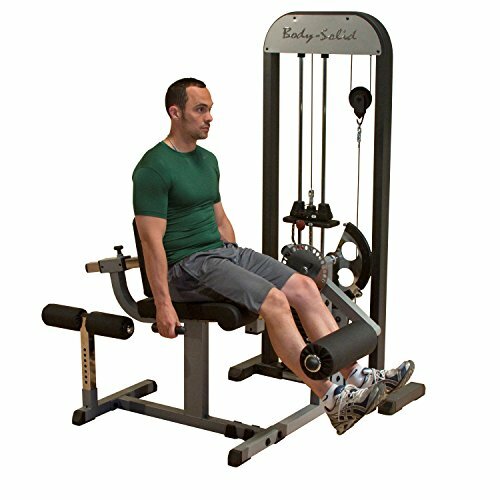 The leg curl machine from Deltech Fitness is a useful method to shape the hamstrings and muscles in the legs. This leg machine provides resistance with its standard weight plates. Structurally, this product is made from heavy-gauge steel and displays durable function. Contrary to the Marcy Leg Curl Machine, this product from Deltech Fitness is known for its stability. Buyers who are in the market for a long-lasting and sturdy machine should likely look toward this product. On the contrary, the Deltech Fitness leg curl machine has been the recipient of some criticism. Comparable to the consensus surrounding the Powertec leg press, many find it overly difficult to assemble due to insufficient instructions. Its design could also use some improvement to smoothen the overall function. For instance, the base handles for lying curls are too upright for many to use them comfortably. This curl machine’s bench contains 3 inches of padding, guaranteeing a suitable level of comfort during your workout. TDS Fitness take additional measures to ensure leisurely operation with its angle catch rotation. While this product has its perks. Users have noted certain defects. Unlike a number of competing products. TDS Fitness’s biometric device does not offer leg extension capabilities. This reduces the leg curl machine’s overall versatility, making it usable by a lesser demographic than it potentially could be. Powerline, the manufacturer of one of the previously discussed devices. Also has a product for leg extensions. 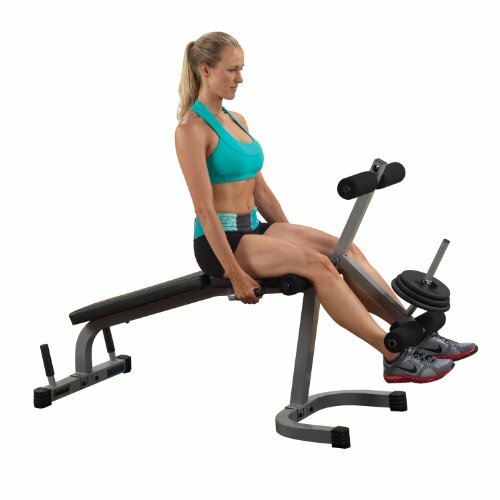 The angled bench is designed to maximize comfort and reduce pesky obstacles that you may run into during your workout. The main peeve that people have had with this leg extension device is its lack of versatility. Although a height adjustment system does exist, it only ranges from heights 5’6’’ to 6’3’’, which excludes a rather large portion of consumers who may have been interested in the product. 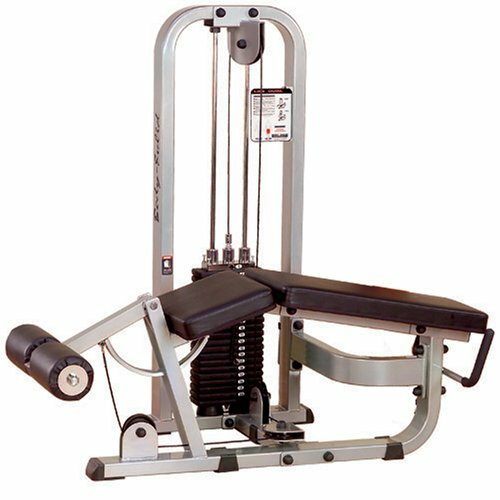 The Body-Solid machine’s function goes beyond what we have discussed in terms of its role as a leg curl machine. Fulfilling its dual purpose, it can be used for yet another purpose as a leg extension device, either in a gym or your home. This product’s versatility takes the claim for much of its success, as many find it attractive to possessive multiple options within the same construct. The back pad is adjustable and can be applied to an impressive 12 different designations. This inclusion of an easy-to-flip switch makes adjusting this product very convenient. Braided steel-cable pulleys keep the machine secure and functioning as progress through your workout. The negative aspects of the Body-Solid machine as a leg extension device are very similar to its defects as a leg curl device. The assembly is clearly the same, and users have had trouble building the product due to the absence of instructions. This leg extension device from Valor Fitness. It is fully adjustable and, comparable to some of its counterparts. Also can double as a leg curl machine. It is plate loaded and can tolerate a maximum weight of 150 pounds. Heavy-gauge steel tubing is implemented in the construction of this device, and it gives off an extremely small footprint of 35 x 35 inches at a height of 40 inches. Notably, this product comes equipped with a sundial adjuster. Allowing the user to moderate the range of motion according to his needs. Forward and back-seat adjustments are also included at your leisure. Lastly, the device from Valor Fitness includes foam padding and adjustable thigh support for maximal comfort. This leg extension machine is known for its versatility, which consumers tend to take interest in as its prevailing feature. This Best Leg Machines product has not given consumers much to complain about. Besides the weight capacity. Market contributors trust the device to perform and maintain decent value in general, but 150 pounds is an exceptionally low capacity for the plates. But overall, the Valor Fitness leg extension machine is an effective tool and a viable option in the pursuits of stronger quadriceps. This cable leg extension from Inflight is a compact weight stack that may also function as a lying leg extension. The majority of dual-purpose machines do not include an adjustable backrest, but Inflight takes the means to implement this feature. It has 3 available positions on the leg extension. Back support to ensure that you find a satisfactory position. This serves to prevent unnatural jerking or stutters in the machine as you pursue those nice legs. 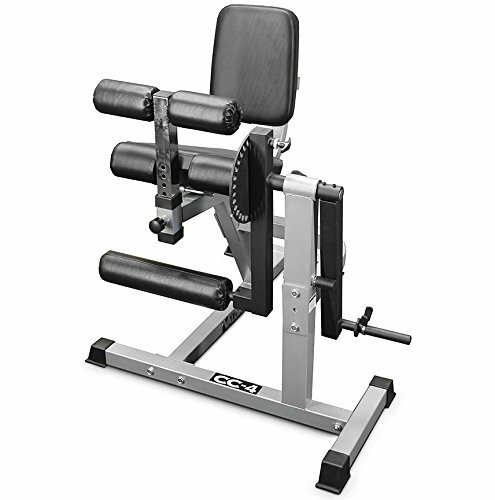 Each of these Best Leg Machines workouts is built with a heavy-gauge steel framing that is covered in a coat of powdered silver. The leg extension device has rollers that adjust themselves as you use the machine to achieve healthy levels of ankle support. Ankle support is a necessary component of these workouts, as the loss of balance while handling a large quantity of weight can be detrimental. Despite its complexity. Users did not find this mechanism to be particularly difficult to assemble. In fact, this leg extension device is not the recipient of much criticism in general. While it touts some impressive structural features, many hold the opinion the device to not put forth enough performance for the price demanded. Free Weight vs. Best Leg Machines: What Works? A common topic of the debate on the Best Leg Machines. Revolves around whether exercising at a gym or in free weight more contributes to the best leg workout. Doing exercise in free weight is preferable to some for a variety of reasons. Performing exercise in free weight allows for movement in more than one dimension during leg exercises. Which works to prevent the risk of injuries and enhance functional fitness. Exercise by means of technology can be very beneficial through specificity. Repeatedly using a machine for a quad workout, for instance, will inevitably build muscle in that particular part of the body. In a nutshell. An exercise in free weight provides natural benefits. While machine-induced exercise can be used to greatly benefit specific areas. As expressed, the fitness industry puts forth a vast amount of products to use for your Best Leg Machines workout. What contributes to a calculated decision is knowledge about the fitness industry and the options it puts forth. We encourage your interest in these leg exercises and their accompanying mechanisms. We hope the information provided here today propels you toward the product for you. From light and portable devices to vast and complex machines.